Seeing is believing! I did it! 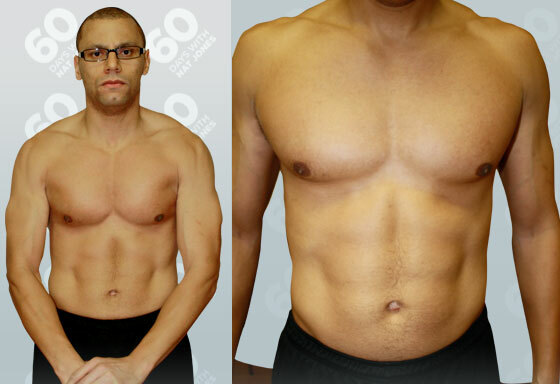 60 days with the FitnessBuilder! Three months ago I made a decision to workout and get healthier. I reached out to FitnessBuilder after taking their iPhone app for a test run and asked if they would be interested in letting me put their product to the test for 60 days, they said yes! Here are the RESULTS! Comparison images from the weigh in. Summary: FitnessBuilder is an all around program – you can see from the above content that it works. For clarification FitnessBuilder did not pay me for any of this. The only thing I received was a year subscription to their plus service. Everything you see here IS REAL. I trained for five days a week using FB to workout with. FitnessBuilder is the personal trainer in your pocket. Cost wise it is only 10 dollars for the app. Then you can buy the third tier year subscription which I would suggest for 34.99. The total is about 45 dollars. The subscription gives you updates and the ability to reach out to FitnessBuilder with unlimited questions and get personalized training program to fit your needs. You can create your own workouts, keep track of your stats and progress. FB keeps a log of everything you do which you can email to yourself or share and challenge others with. It is the fitness app for now and the future. Their custumer service is impeccable. They truly care about the consumers using their application. There are real people behind this product who stand by it and will make sure that it helps you meet your goals. With that being said this product is 60 Days approved. 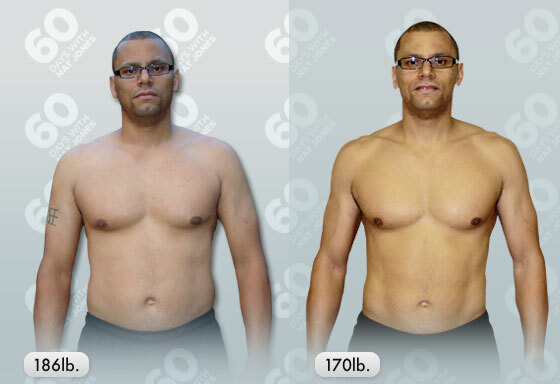 My journey of 16 pounds lost in three months would have not been possible without FitnessBuilder. I encourage everyone to get it and try it out. I would like to thank Craig and Declan FitnessBuilder creators for all of their support in making this review possible. I am going to be taking a break to reorganize my site and content. My journey with FitnessBuilder is not over, it is just beginning with FB’s ability to create and keep track of your own workouts. I will be able use FB with my future workouts and goals. I hope this inspires others to try this great product and to get healthier. Little flexing action I haven’t seen my six pack in a decade. The Six Pack Is Back. I haven’t been this weight or in this level of fitness since I was twenty four. Notes: Last day of my FitnessBuilder review, I decided to go out with a a stomach routine. FitnessBuilder’s Abs & Core, Level 1: Foundation, Workout 2. Getting a six pack is everyone’s most desired muscle group. After 60 days I am happy to say that I got it back. FB’s Ab & Core routines will have your six pack saying hi again. Exercise of the Day: Dead Bub Ab exercise. Don’t laugh it really works try ten rest for 30 secs and do another ten, you will feel what I mean. Get your abs back with a dead bug, go figure 😉 . Notes: Final day of FB Total Body, Level 4: IntensiveWorkout. I am glad that I made it through. I was a little sick while working out so it made exercising that much harder on me. I know I should stop when I get sick, but it makes me feel better when I do. Besides only one more day left! Exercise of the Day: Foot up Split Squat leg exercise. Isolation is one of the key elements to building muscles and getting stronger. Foot up Split Squat sounds funny but it’s a truly great exercise. Try and discover it for yourself. Summary of FitnessBuilder Total Body, Level 4: Intensive, Workout: The combination of exercise will push you, get you stronger and leaner. If you want to up the difficulty a notch try resting only 30 seconds between repetitions. You’ll be burning calories and shrugging off the fat. A FB must try. Notes: Second day of working the total body and I am feeling it. I keep pushing myself, one of these days I will end up on the cover of Men’s Health. Hey everyone has to dream. 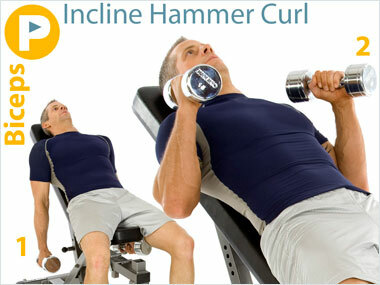 Exercise of the Day: Incline Hammer Curl arm exercise. Don’t take the basics for granted when this exercise is done at a different angle your muscles will start talking to you. A FB must try. 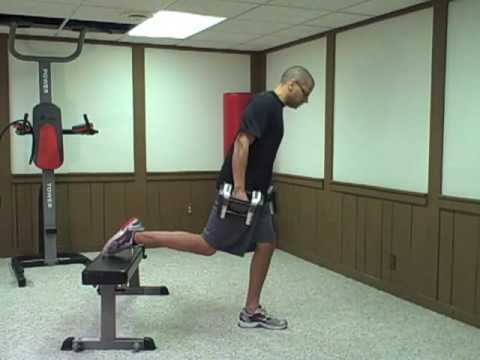 Exercise of the Day: Front Bridge to T lower back exercise. I can’t emphasize how important it is to make sure you hit all the muscles in your body. Remember all the muscles in your body work together so that you can do the most basic things. It makes sense to develop them that way also.